The shorter cutting blade allows for more control and maneuverability of the shear. 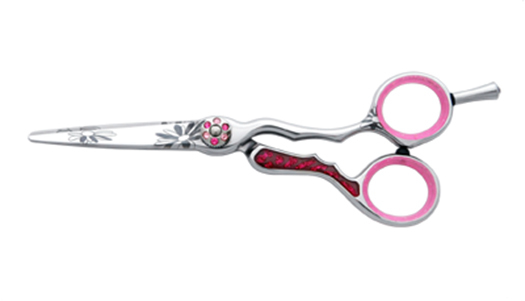 The "Silver Orchid" hair shear features convex edges for greater cutting performance. The shorter cutting blade allows for more control and maneuverability of the shear. Made from Japanese Steel 440 C Steel for superior durability..